Would you know how to define what’s in the image above? It could be the version of Google Earth of the 22nd century, or a cutting-edge art sculpture, but it’s not. The photo pertains to a particular object that we’ll reveal by the end of this article. To give you a clue, we can start by talking about one of the companies that manufactures micro-architectural bits and pieces. It’s called Hong Yuen Electronics Ltd., which was founded in Hong Kong in 1977. It’s a subsidiary company of China Aerospace International Holdingst Ltd., the great corporation that researches and develops aerospace technology for Chinese satelites. 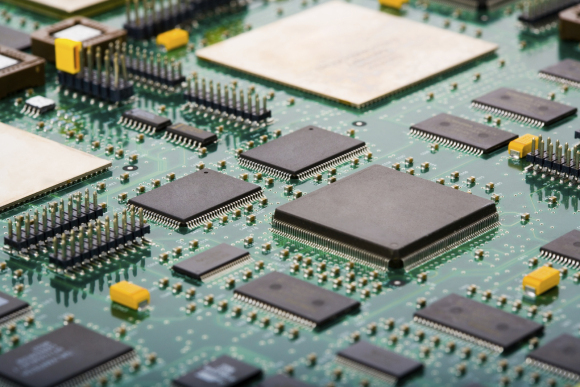 The specialty of Hong Yuen Electronics Ltd. is the production of printed circuit boards (PCB). These components consist of fiber glass covered in complex roads, highways and copper bridges that work to electronically connect one piece to another. These circuits were used for the first time in Austria in 1936 as part of a radio, and now they are fundamental for any electronic product. Hong Yuen Ltd manufactures printed circuits for computers, mobile phones, cameras, SIM cards and other products that are then distributed among four continents. Their work team is made up of 118 engineers, half of which are part of the Quality Assurance division. Their products constitute the technological nervous system that we live on, which betters our day-to-day lives in the constant and infinite search for innovation. Business Initiative Directions recognized this great merit by presenting them with the International Quality Summit Award in the New York convention 2001. So, the connector organs of our products haves names: mother and father. The object in the above image is an integral part of the laptop computer Toshiba Satellite, which someone will be able to use some day to read this article.